The Wells Fargo Building (as Norwest Bank) was completed in 1976 on the site that formerly housed the Grand Pacific Hotel, which was in operation on the site from 1880-1974. Downtown Bismarck is a registered historic district that held strong importance to the initial growth and success of the Bismarck area. 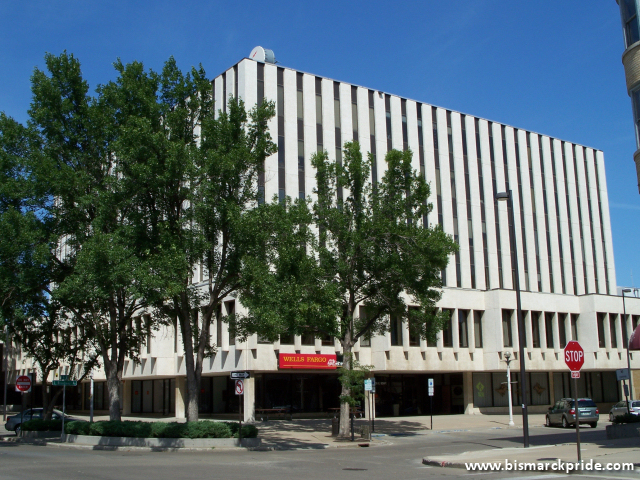 Bismarck’s downtown is roughly located between Washington Street & 7th Street; and Rosser Avenue and Main Avenue.